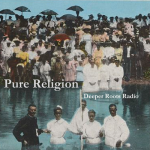 Gospel is the order of the day … inspirational American roots music to moderate the gloomy days of mid-Winter here in Sonoma County. 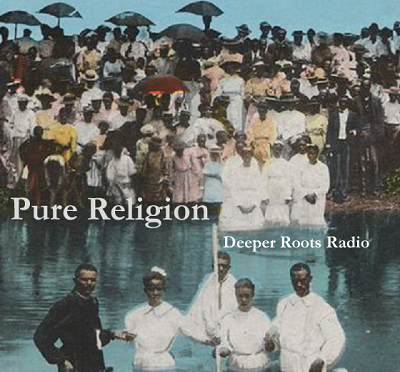 Blues, rock, country, and the sanctified sounds of spirituality coming to you on another Wednesday evening on Deeper Roots. Our playlist will take you to Maxwell Street with Daddy Stovepipe, the ‘heavenly shore’ with Blind Gussie Nesbit, into the deep country southern climes with Polk Miller and Mac Odell, and we’ll explore contemporary religious topics with Warren Zevon, The Reverend Peyton’s Big Damn Band, and Lucinda Williams. Tune in! There was (is?) a time when the background noise (and it was loud) revolved around the likelihood that humankind would annihilate itself any day. The Cold War brought out the worst of us. Fear of your neighbor…fear of ideology or alternative ideas were the centerpiece of the day. The fear was embodied in the likelihood of the ‘big one’ dropping; yet our schools, media, and government soft-peddled the reality. The entertainment industry had it’s own take, of course; because artistic license allowed exploration from every corner, even though it would often make light of what was then assumed to be an eventuality. 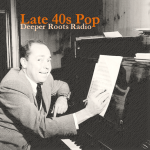 We’ll hear country from Charlie Louvin and Elton Britt, left-wing folkies like Pete Seeger and Mark Spoelstra, and gospel from the Golden Gate Quartet and The Spirit of Memphis Quartet. 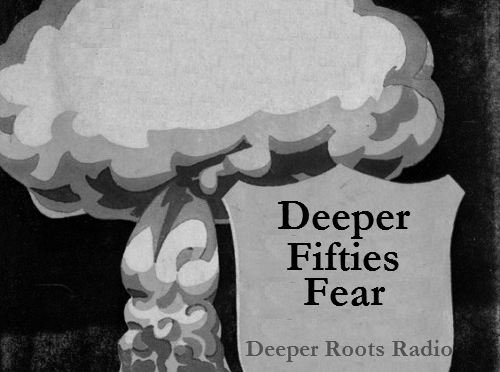 It’s a combination of novelty, contemporary takes on old standards, and vintage sounds (both musical and otherwise) in our Deeper Roots episode that explores the American way called ‘duck and cover’. 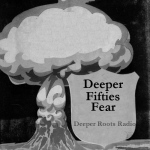 A brand new show…fresh from the digital bins of Deeper Roots’ archives. We’ve got the songs and the stories once again this week as we take a cruise down the American whitebread pop river, exploring post-war pop. Our focus will be a very narrow window of time where the very best in silk and satin voices mixed freely with Hollywood novelty and nostalgic swing bands. 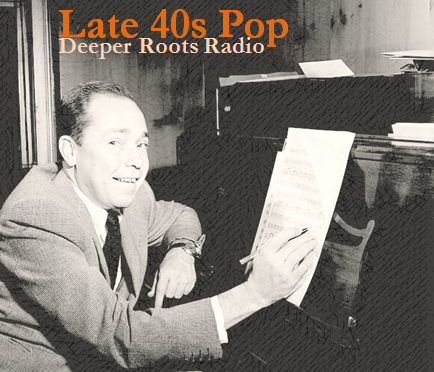 Tune in for Kay Kyser, Dinah Shore, The Harmonicats, Frankie Laine, Vaughn Monroe, and a whole host of others this week on Deeper Roots as we explore a sound that missed the R&B and rock train and would be run over by it at the same time.